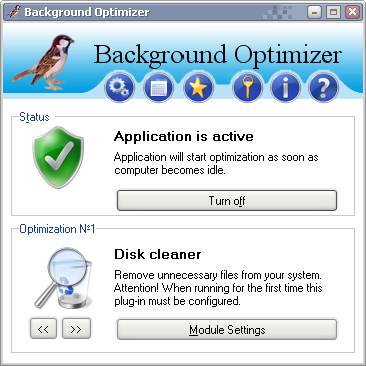 This is the main window of Background Optimizer, with an user-friendly interface. Use the buttons to perform new actions. 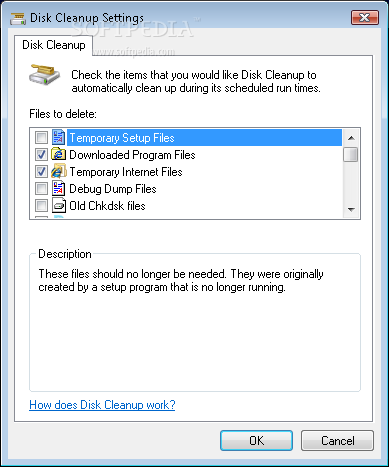 The Disk Cleanup Settings window allowing you to choose the items you want to remove from your computer. 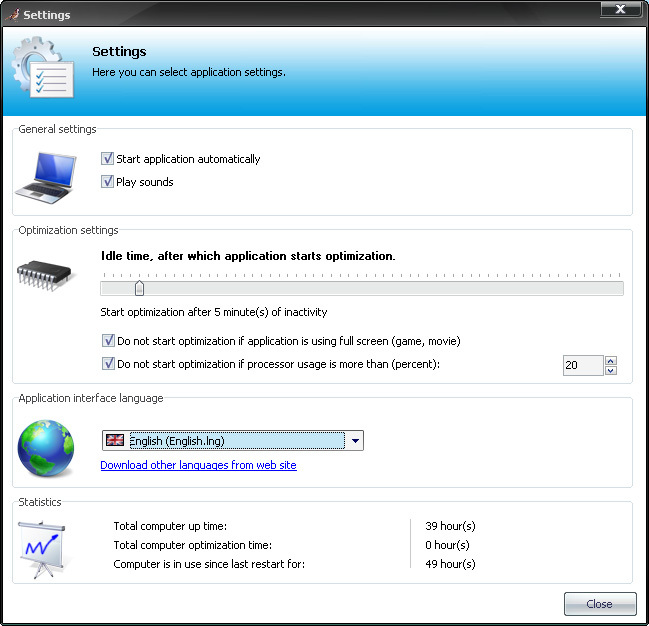 You can use this window when you want to change several default settings of the application. 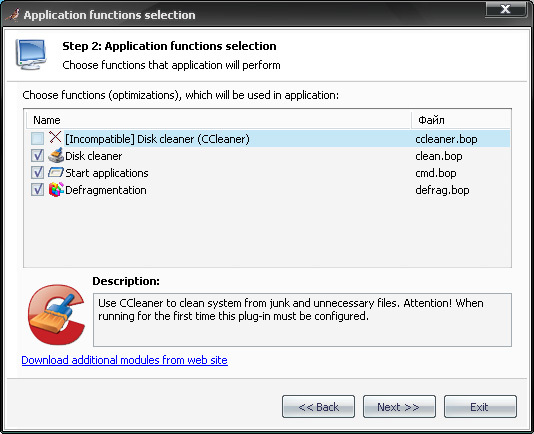 Here you will be able to select the functions that Background Optimizer will perform. This window eables you to add applications you want to run when your system is idle.